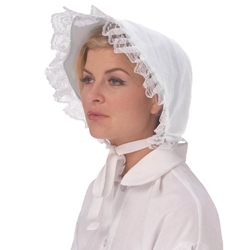 Lace Trim Bonnet. Ties under chin. Available in Black, Royal Blue and White. One size. Great Victorian period bonnet.